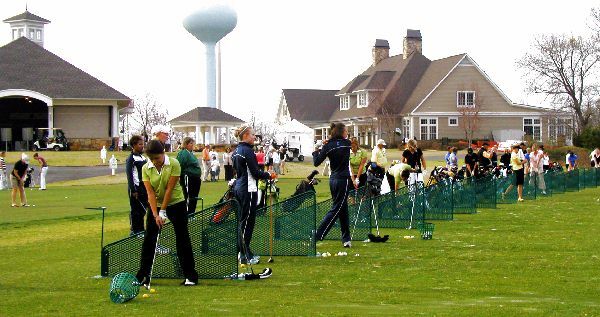 The fourth annual 2007 Shamrock Collegiate Invitational Tournament for collegiate women golfers was held March 16,17, and 19 at Tega Cay Golf Club in Tega Cay, SC. Sixteen teams traveled here from as far as Texas and Minnesota. 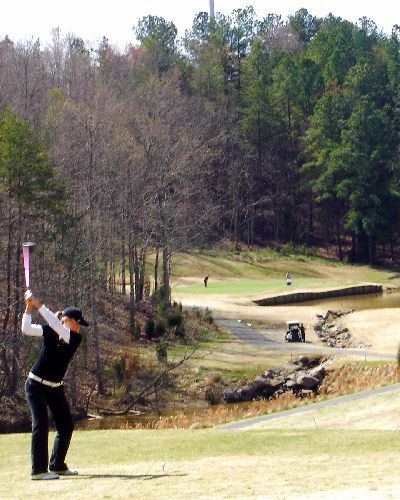 The Shamrock Invitational was hosted by Tega Cay Golf Club, SC, and Winthrop College in Rock Hill, SC. The first round was rained out on Friday, and there were strong cold winds on Saturday that sent scores soaring. Elon had won two of the last three Shamrock titles, and after the first day Elon led the pack with Winthrop behind Elon by seven strokes. 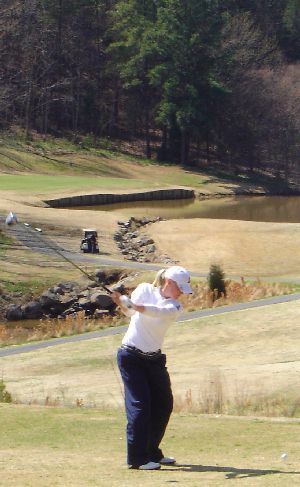 However, led by Jutta Degerman’s 73, Winthrop rallied on Sunday to beat Elon by 14 strokes, and second place East Tennessee State by two strokes for the team win. 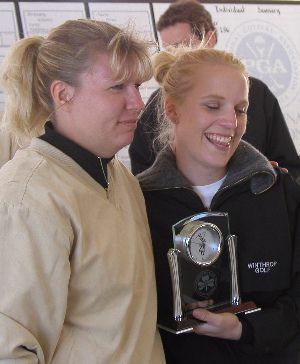 Winthrop's Jutta Degerman’s final-round 73 combined with her first round 79 totaled 152 for first place medal honors. 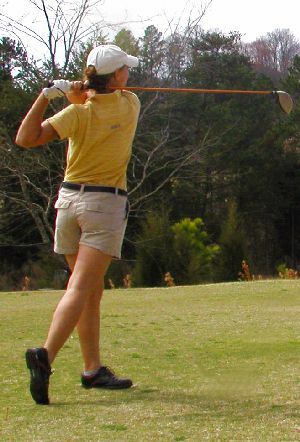 Katrina Rumpf of Charleston Southern and Lucy Gould of East Tennessee State were tied for second place with a score of 155. Winthrop won first place with (330, 312 – 642). Runner-up was East Tennessee State with (326, 318 – 644). Elon, who won twice before, was third at (323, 336 – 659). The rest of the field included Charleston Southern (329-332-661), Gardner-Webb U. (339, 329 - 668), Bucknell University (333, 341 - 674), High Point University (354, 330 - 684), Western Carolina U. (344, 343 - 687), Minnesota State U. (347, 351 - 698), Texas-Pan American (358, 342 - 700), Jackson State U. (351, 354 - 705), Longwood U. (366, 343 - 709), St. Francis U - PA (369, 347 - 716) Belmont Abbey Coll. (368, 354 - 722), IUPUI (373, 359 – 732), and The Citadel (429, 425 – 854).